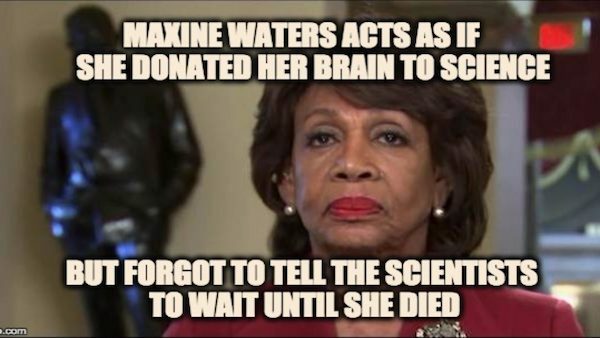 It is no secret that Maxine Waters is more cuckoo than a clock, as the saying goes she acts as if she donated her brain to science and forgot to tell the scientists to wait until she was dead. Especially now that she wants an investigation to see if President Trump can be exiled. 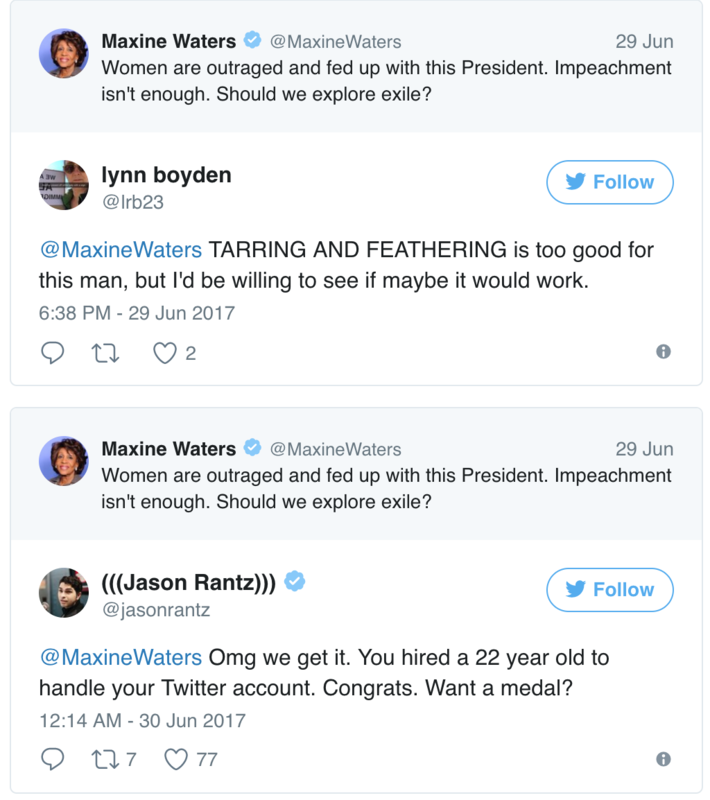 Mad Maxine has claimed that Trump WILL be impeached, over and over again. She has called Trump and every one of his supporters every colorful name in the book (including scumbags). It is quite interesting though, because as she rants and raves over how “racist” and horrible our president is, and how everyone is colluding with the Russians…it really feels as if we are all watching her self destruction. As Trump said about Nancy Pelosi, perhaps Maxine Waters is a great weapon for elections. They continue to go off the deep end and more people vote Republican! 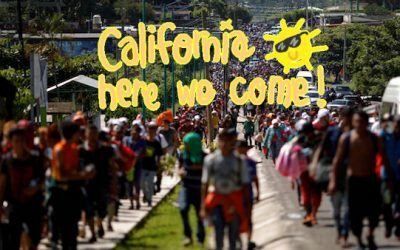 Maxine has hit a new frontier now. 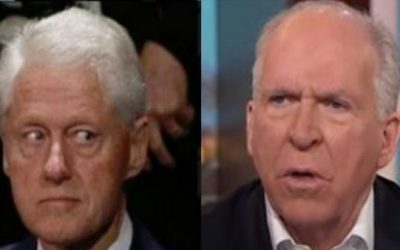 Instead of just demanding Trump be impeached, she now screams for EXILE! Let’s all laugh along. Women are outraged and fed up with this President. Impeachment isn’t enough. Should we explore exile? We get it Maxine. You are a product of the worst combination. Some people are nasty, some people are stupid, but the worst kind of people are both stupid AND nasty. And when you wake up on the wrong side of your flying broom, you lash out on Twitter. After he exile tweet, she tries to allude back to a Russian collusion. 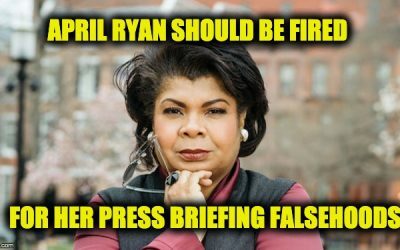 Has she not been watching the news? The cat is out of the bag! 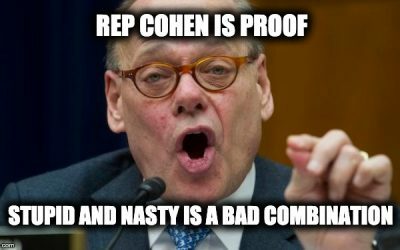 We know for a fact the charge that team Trump colluded with the Russians is like the tooth fairy, monsters under the bed, and the unicorn…it doesn’t exist. But the exile and Russian tweets brought her a barrage of trolling responses. Are you still dreaming about Hillary ?